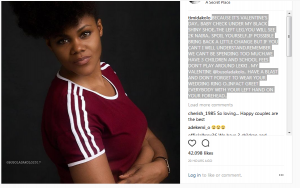 Timi Dakolo certainly knows how to make his wife smile. 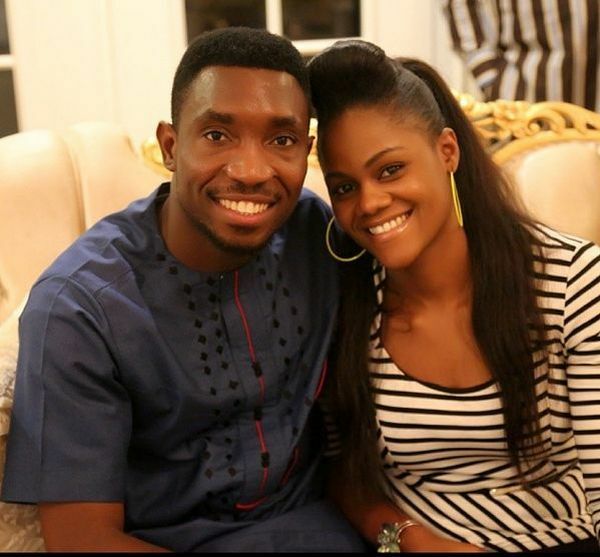 Singer, Timi Dakolo, yesterday, being Valentine’s day, took to IG to send his love to his wife, Busola Dakolo. 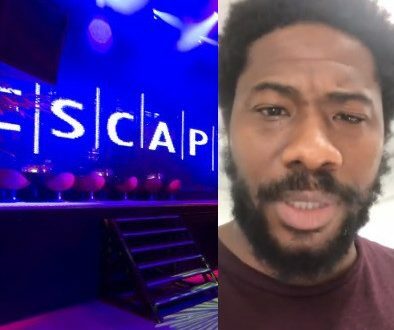 The singer who is fond of seizing every and any opportunity to express his love to his wife, once again sent his love to her. 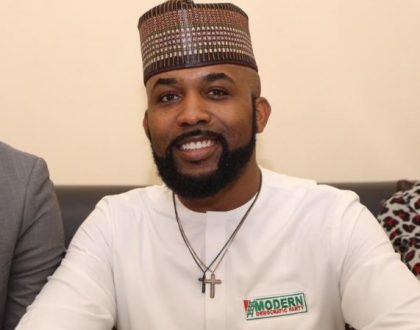 The ‘iyawo mi’ crooner’s message has been described by many as very funny. 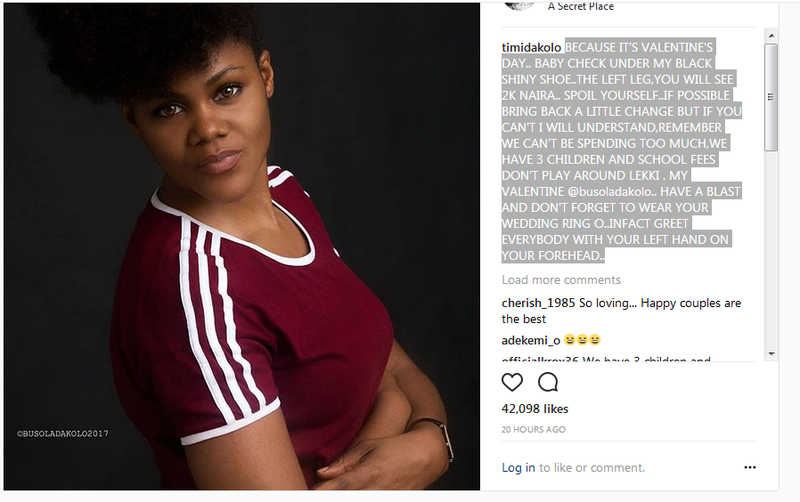 Sharing the picture of Busola, the singer instructed that he has left some cash under his Shinny black shoes for her so she should go out and spoil herself. Well, it turned out that the cash he left was a whooping sum of Two Thousand Naira. He even asked that she could choose to be prudent and ‘remain change’ because they have kids. He also asked that she wears her ring and greet everyone with her left hand on her forehead. Lol, how romantic. BECAUSE IT’S VALENTINE’S DAY.. BABY CHECK UNDER MY BLACK SHINY SHOE..THE LEFT LEG,YOU WILL SEE 2K NAIRA.. SPOIL YOURSELF..IF POSSIBLE BRING BACK A LITTLE CHANGE BUT IF YOU CAN’T I WILL UNDERSTAND,REMEMBER WE CAN’T BE SPENDING TOO MUCH,WE HAVE 3 CHILDREN AND SCHOOL FEES DON’T PLAY AROUND LEKKI . 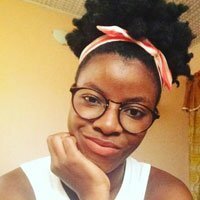 MY VALENTINE @busoladakolo.. HAVE A BLAST AND DON’T FORGET TO WEAR YOUR WEDDING RING O..INFACT GREET EVERYBODY WITH YOUR LEFT HAND ON YOUR FOREHEAD..
Well, love has always been such a beautiful thing and Timi’s message succeeded in making so many people smile.